6. Splitsville U.S. of A.
Danny Sandock’s most recent album Throwin’ Me for a Loop is a taste of summers forgotten, honeyed suntans, warm nights and west coast blues. 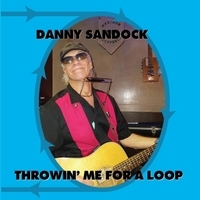 Consisting of twelve songs, Sandock’s voice serenades dreamers with a harmonica, 12-string guitar, tamborine and female accompaniment weaving only a few primary layers into his soulful playlist. The music sinks into your back and your bones like a Calypso spell, with a gentle encouragement to let go, turn off the cell phone, and loosen the grip of your steering wheel. There is a throwback influence, calling on the ghosts of the Traveling Wilburys and the Nashville sound, with a bit of the irreverence of Bermuda shorts and flip flops in business meetings. Almost more notable is the absence of his music. Despite the domestic quibbles, toddler tantrums and barking dogs, each song left a loud silence and craving more. I found myself stretching over babies, scattered toys and far reaching devices just to hear another song. Among a few of my favorites were “Sycamore Canyon Mentality”, “Hitch-hiker” and “Sick of this City”, all showcasing an honest songwriter who wears his heart on his mouth organ. There is no overproduction, no fancy overdubs and no heightened self-awareness. I don’t get the impression he is eager to look pretty when he sings. Sandock is the real thing. What you hear is what you get: good old-fashioned American music.